Problems viewing this email? Click here to view this email in your web browser. NCHN thanks its Business Partners for their invaluable support of the Association. Please take a moment to visit the Business Partners and see what they can do for your network. The Board of Directors invites you to attend our 16th Annual Conference, “Navigating the River of Change in Healthcare” in San Antonio, TX, April 19-21, 2010. The 2010 Conference Planning Committee has put together an outstanding program that includes national level speakers addressing the recently passed Patient Protection and Affordable Care Act to local network leaders discussing their programs and services. The three day event contains something for every type of network. We hope that you can be with us in San Antonio! We look forward to renewing relationships and forming new friendships. The Board of Directors welcomes our newest Silver Level Business Partner - FIVE Career Advisors! 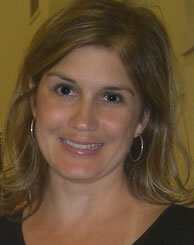 Ginna Fenton will be with us in San Antonio to meet members and discuss their services. Nominations are still open for the NCHN Awards Program. Details are located in this newsletter. Directors encourage you to nominate your colleagues or yourself for this program! The 2nd Annual Award Luncheon will be held on Monday, April 19, 2010 in San Antonio, TX. The Board of Directors is pleased to announce a special training for NCHN members that are interested in serving as Executive Coaches during 2010. The workshop, Facilitating Excellence: An Execuitve Coaching Experince will be offered from 8:30 AM CT - 10:15 PM CT on Monday, April 19, 2010 in San Antonio, TX, as a pre-conference workshop of the 16th Annual Conference. 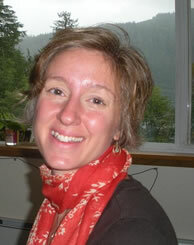 Mary Kay Chess, Ph.D, former NCHN Vice President will be the facilitator. This training session on Exeuctive coaching is limited to 10 participants, which must be current NCHN members. Network leaders are expected to create excellence throughout the organization and in the communities served by the network. There are a multitude of processes that require focus and attention: client satisfaction, cash on hand, or customized programs. A key factor in ensuring excellence is to evoke this characteristic in everyone around you whether in a formal coaching arrangement or simply in a dialogue around strategy. Facilitating Excellence provides an overview of both strategic listening and reflective curiosity. These two key executive coaching tools are invaluable approaches in engaging successfully with Board members, executive staff, community executives and your peers. In addition to the exploration of listening and curiosity, additional coaching resources will be provided to sustain this coaching approach when you return home. The participants of Facilitating Excellence Workshop in San Antonio, TX will continue the training through four one-hour phone virtual conferences. These sessions will be provided quarterly. The topics include additional coaching tools and actual “case” reviews of situations that could be impacted through the approach to facilitating excellence. There is no charge to participate in the program, if selected. For information and an application, please email rdavis@nchn.org The deadline for applications has been extended until Thursday, April 1, 2010. Comprehensive Membership Survey --- the comprehensive membership survey will be coming to members’ email boxes in early April! We encourage everyone to complete the survey, as the results will be used to plan NCHN activities and programs. Everyone’s input is needed! Salary Survey - The 2010 NCHN Network Leader Salary Survey will be conducted in May 2010. Members will have the opportunity to preview the survey and suggestion new categories and/or data collection points. "Building on Our Strengths: Ensuring the Success of Your Healthcare Network"
2) The secrets of success are avoiding risk and seizing opportunities. In that vein, a roundtable of rural health networks was convened this winter that revealed some other common characteristics shared by successful healthcare networks new and old. During this presentation, David will provide the highlights of that recent gathering and apply it to life before, during and after health care reform. "Trends in Healthcare IT and What it Means for Healthcare Delivery"
Using the extensive HIMSS Analytics data from all US non-governmental hospitals, John Hoyt will review the Healthcare IT adoption trends in the industry. Using data from 2005 and 2009, we will see how adoption of IT has accelerated in the past few years, despite the weakened financial picture for many US hospitals. 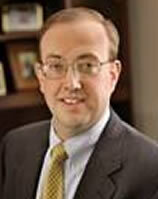 John will also present some key information for CIO’s planning to meet the Meaningful Use criteria for hospitals. It's not too late to submit an organization or individual for the 2nd Annual NCHN Awards! The 2nd Annual NCHN Awards Luncheon will be held on Monday, April 19 in San Antonio, TX in conjunction with the 16th Annual Conference. The NCHN Awards Program is designed to honor outstanding individuals and organizations in the field of health networks. 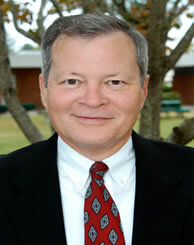 NCHN members are invited to submit nominations for the 2010 Awards. The NCHN’s Outstanding Network Leader of the Year Award recognizes a network leader/director for leadership in managing a successful health network organization. The Outstanding Health Network of the Year Award recognizes any network or entire network organization that has improved access to health services in its service area and coordination of resources for network members through innovative, comprehensive approaches. This Outstanding New & Emerging Network Leader Award recognizes extraordinary leadership activities demonstrated by a new network leader/director in the field of health networks (network leader less than five years). The Friend of NCHN Award is given to recognize a program, institution, agency, or individual that has advocated for or provided extraordinary support to the Association. Elections will be held on Tuesday, April 20 at the 2010 Annual NCHN Membership Meeting in San Antonio, TX. Please watch your email box for the 2010 Membership Meeting Notice and your proxy. Please join us in congratulating them on their nomination when you see them at the NCHN Conference in San Antonio next month! Whether you are a Healthcare IT specialist looking for a unique opportunity, or a healthcare provider in search of top Healthcare IT professionals, we can help. Every day we bring together the healthcare industry’s leading IT candidates and providers — driving innovation through a highly focused recruitment process. Founded in 2007, FIVE quickly established itself as a premier source for top Healthcare Informatics talent. We have worked hard to earn the reputation for not only providing timely, quality results to our clients, but also for treating our candidates with the respect they deserve. We are excited to announce we have expanded our services to include retained searches and permanent placements, direct with healthcare facilities. FIVE is now even better positioned to meet all the needs of our clients and candidates! Health Enterprises, through fostering collaborative and innovative hospital relationships, provides unsurpassed value to hospitals in support of community-based healthcare. The purpose of Health Enterprises is to develop, promote and maintain high quality services and programs, which provide value to their members and clients, in support of community-based healthcare. The Health Enterprises Family of Companies exists to serve and support hospitals, other healthcare providers, their patients, and clients. The services provided are built on a philosophy that recognizes the function of quality and cost to determine value. All the members of the Health Enterprises Family of Companies make delivering value a top priority. Health Enterprises offers a variety of programs and services to help local hospitals gain access to technology, decrease and control expenses, and gain access to highly specialized personnel. As hospital-owned companies, they also return the profits of their operations to the investors, allowing the profits to be reinvested in services for the local communities. Health Enterprises takes a bold, innovative approach to many facets of health-related services. Dedicated customer service is an important part of the Health Enterprises philosophy. Customer service sets Health Enterprises apart and ensures successful, growing ventures. Health Enterprises Cooperative (HEc) is a regional group purchasing organization which provides supply chain services designed to measurably reduce costs. As a shareholder in Premier, Inc. and Premier Purchasing Partners, HEc makes available to members and affiliates the best pricing available at a national level, with the local support to insure maximum value is realized. A member-driver organization, HEc strongly supports a series of roundtables to deliver educational opportunities and drive contracting decisions. Roundtables are held regularly for the leaders of materials, radiology, pharmacy, laboratory, cardiovascular, facilities and information technology. Providing a single point of contact for all purchasing issues and support with vendor / distributor relations is an invaluable customer service function. In addition to the professional roundtables sponsored by Health Enterprises Cooperative, Health Enterprises of Iowa sponsors a roundtable for Human Resources professionals. This roundtable provides a forum for education, discussion and networking. Health Enterprises Therapy Services, L.C. enables more patients to receive the physical, occupational or speech therapy they require, experiencing a continuum of care closer to home than previously available. Iowa Anesthesia, L.C. is a unique partnership, involving a certified registered nurse anesthetist, a hospital and Health Enterprises that provides anesthesia care to patients, primarily in rural settings, thereby creating access to surgical services. The network is comprised of 26 organizations throughout Iowa. Jon S. Sewell is the President & CEO and contact for NCHN and can be contacted at jsewell@healthenterprises.org or by calling 319-368-3613. NCHN’s Board of Directors and staff welcome Health Enterprises of Iowa and looks forward to working with them in 2010! 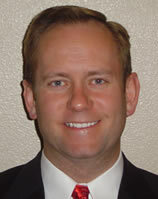 Congratulations to Brendan L. Ashby, Minnesota Interprofessional Rural Health Network! Brendan won the drawing on the March 8th Quarterly Membership Conference Call for the $100 certification toward his conference registration fee for the upcoming 2010 NCHN 16th Annual Conference! Brendan won this certificate by completing the NCHN 2011 Annual Conference and 2010 Regional Meetings survey. Thanks to all the members that participated. The Conference Planning Committee and Regional Meeting Committee are utilizing the results to make site selections for the 2010 Regional Meetings and the 2011 Annual Conference. 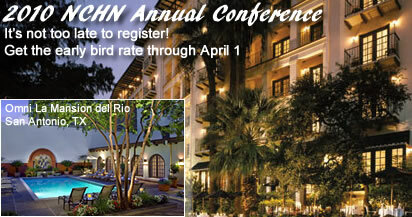 Locations and dates will be announced at the 2010 NCHN Annual Conference in San Antonio next month. Congratulations to Aislynn Slagle, Network Director with the Samaritan Scotland Rural Health Network in Macon, Missouri! Aislynn won the $100 Gift Certificate for completing the on-line survey related to Network Types. As of the drawing, 73 networks had completed the survey. Gift Certificate #3 Goes to _____ ? The survey is still open. If you haven’t completed, please take a few minutes and do so now! The survey is located at http://www.surveymonkey.com/s/networksurvey. In fact, if we can get the number of respondents to the Network Survey up to 100, we will do a second drawing for a $100 gift certificate towards the registration fee for the 2010 NCHN Annual Conference or 2010 Regional Meetings to be held later this year. So, call your colleagues and tell them to complete the survey today! Thanks to everyone for participating in the surveys. 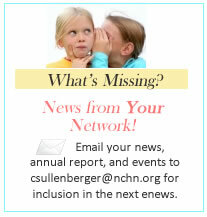 Your input helps shape NCHN’s programs and activities! Presented by OACHC and the National Rural Recruitment and Retention Network (3Rnet) OACHC and 3RNet are once again offering a four-part recruitment and retention webinar series with experts in the field. These webinars offer you the opportunity to train multiple staff from the comfort of your office with the top leaders in the field for one low price! April 22, 2010 2:00 Eastern - The Why, Who, When and What of Background Investigations, Credentialing and Privileging. Rhonda Jackson, President, Reality Check Screening will discuss background checking and it’s place in medical professional recruitment and retention. May 27, 2010 2:00 Eastern - Health Care Reform - What it Means in Rural America. Maggie Elehwany Vice President of Government Affairs and Policy, National Rural Health Association will provide updates on health care reform as it affects rural and underserved communities. June 24, 2010 3:30 Eastern - On Boarding - You Have the Provider, Now What? Laura Screeney, In-House Recruitment and Retention Consultant, offers insights into the process of integrating new providers into the practice and community with goal of long term retention. All webinars will take place at 2 pm ET. The cost is $75 per webinar for OACHC and 3RNet members or $175 for the series. Non-member price is $125 per webinar or $325 for the series. Cost is per phone line and internet connection so train as many people as want for one low price! Register for one or all at the same time! March 21, 2010 - The House of Representatives, by a vote of 219 to 212, has passed the Senate’s Health Reform Bill, the Patient Protection and Affordable Care Act. This means health reform has officially passed, and will await the President’s signature before becoming law. Additionally, the House voted 220 to 211 to adopt its reconciliation package to the bill, which is intended to make changes to the Senate bill because of reservations many House members had with its exact language. The Senate will now need to pass this reconciliation legislation before it becomes law and alters the final bill passed and signed into law earlier tonight. After months of fierce debate in Washington and around the country and after an intense day of voting on Capitol Hill, the House of Representatives passed a health care reform bill and it's on its way to President Obama's desk. Once Obama signs the bill into law, it will mean an end to the current health care system as we know it. Pundits on the right and left have been reacting to passage of the legislation, but what does the bill actually mean for the average American? With the enactment of comprehensive health reform, the Kaiser Family Foundation has prepared a timeline detailing when specific provisions of the legislation are scheduled to take effect. The implementation timeline reflects the provisions of the Patient Protection and Affordable Care Act, which President Obama signed on March 23, 2010, as well as provisions in the Health Care & Education Reconciliation Act passed by the House and Senate. It includes more than a dozen key provisions scheduled to take effect in 2010, including the creation of a national high-risk pool for people with pre-existing conditions that can’t buy insurance on their own, tax credits for small businesses that obtain health coverage for their workers and assistance for Medicare beneficiaries with high drug costs who get hit by the drug benefit’s coverage gap or “doughnut hole,” and continues through 2014, when the major reforms to expand access to health coverage are fully implemented. March 27, 2010 - President Obama will soon name Dr. Donald M. Berwick, an iconoclastic scholar of health policy, to run Medicare and Medicaid, the programs that serve nearly one-third of all Americans, administration officials said Saturday. 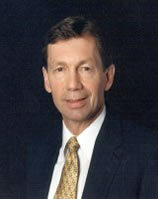 Dr. Berwick, a pediatrician, is president of the Institute for Healthcare Improvement in Cambridge, Mass. He has repeatedly challenged doctors and hospitals to provide better care at a lower cost. He says the government and insurers can increase the quality and efficiency of care by basing payments on the value of services, not the volume. The American Dental Education Association (ADEA) has put together a list of features most relevant to dentistry included in the new legislation passed yesterday. Here it is. The purpose of the Rural Health Workforce Development Program is to support the development of rural health networks that focus on activities relating to the recruitment and retention of primary and allied health care providers in rural communities. This Program will provide support to established and sustainable rural health networks that can develop innovative community-based educational and clinical health training programs to encourage the recruitment and retention of emerging health professionals (students and residents) in rural communities to train and eventually practice. Networks develop from ongoing collaborative relationships between health care organizations and accredited health care workforce training organizations (institutions). These networks can emphasize using community-based training opportunities to interest students and/or residents in rural health practice. Networks funded by this program can focus on a variety of different training program models and activities including the development of a training program, providing support to students/residents for housing and transportation and the payment of a preceptor. This can, in turn, help reduce recruitment costs, creating a potential revenue stream for continuing the network after Federal funding. Achieving the above will fundamentally lead to strengthening the rural health care delivery system. Establishing viable rural health networks within the community that can serve as an ongoing vehicle for addressing workforce challenges. A program of the Rosalynn Carter Institute for Caregiving, the Rosalynn Carter Leadership in Caregiving Award recognizes leadership in implementing innovative partnerships between community agencies and caregiving researchers who bridge the gap between science and practice. The award-winning team will be announced at the RCI's National Summit to be held October 20-22, 2010, at Georgia Southwestern State University in Americus, Georgia. Former First Lady Rosalynn Carter will present the winning team with a statuette and a cash award of $20,000 to support the team's efforts in implementing effective caregiver interventions at the community level. The Handbook For Rural Health Care Ethics uses a case-based approach to analyzing, solving and anticipating health care ethics dilemmas. The Handbook is authored by physicians, nurses, health-care ethicists, and hospital administrators who all had scholarship or expertise in rural ethics, and was funded by a grant from the National Institutes of Health (NIH) National Library of Medicine. In March 2010, ONC completed the announcement of State Health Information (State HIE) Exchange Cooperative Agreement Program awardees. In total, 56 states, eligible territories, and qualified State Designated Entities (SDE) received awards. The State HIE Cooperative Agreement Program funds states’ efforts to rapidly build capacity for exchanging health information across the health care system both within and across states. Awardees are responsible for increasing connectivity and enabling patient-centric information flow to improve the quality and efficiency of care. Key to this is the continual evolution and advancement of necessary governance, policies, technical services, business operations, and financing mechanisms for HIE over each state, territory, and SDE’s four-year performance period. This program is building on existing efforts to advance regional and state-level health information exchange while moving toward nationwide interoperability. The Office of the National Coordinator for Health Information Technology (ONC) has announced that funding will be available for Critical Access Hospitals to receive technical assistance from the HIT Regional Extension Centers (RECs) for the adoption and meaningful use of electronic health records. They have announced that $12,000 per Critical Access Hospital with be provided to the RECs to provide the needed technical assistance. We do not have any additional information at this time but wanted to let you all know about this exciting news.